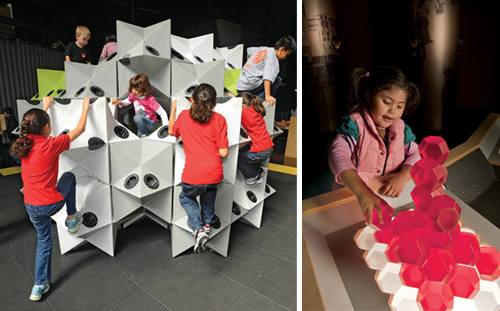 In this traveling geometry exhibit and playspace, children roam through walls of torqued cubes, parabolic curves and wavy mirrors; play with stacked forms and glowing building blocks; and climb gyroids and a stellated rhombic dodecahedron [top]. They might even learn some math as they do. NEOS introduces videogame elements— blinking lights, buttons, beepers and timers—into outdoor playgrounds. Players run, jump, and work together to chase down light as it bounces from panel to panel throughout the rubberized metal structure. The light- tag games are aerobically intense and last just a minute at most. Nine objects—mounds, bumps, walls, waves, noodles—form a playground-in-a-box. Children can spin the bumps, fit the waves together to form a slide, and use the walls (which are semicircular) to build tunnels or, flipped, as seesaws. 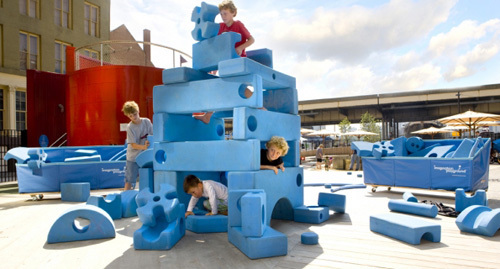 David Rockwell's Imagination Playground with its lack of fixed equipment, and plethora of loose parts— motley blue foam components allow children to create their own environment. This kind of free play is essential, scientists now believe, in building childrens' brains and fostering independent thinking. 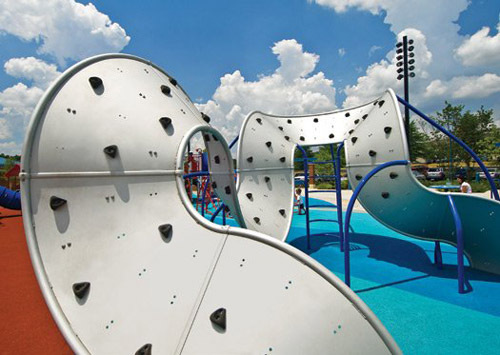 A Möbius strip–like climbing wall made of a textured anodized aluminum sheet, studded with polyester resin (fake rock) handholds, forms a challenging landscape to explore. 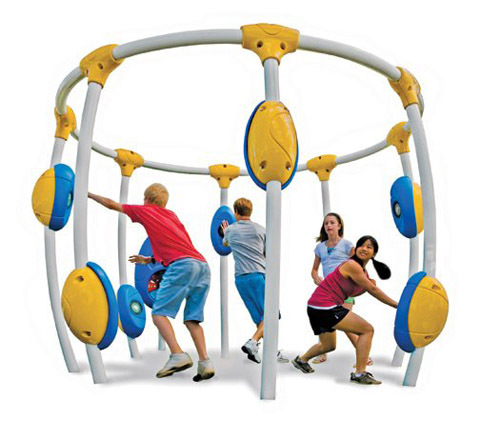 Therapists use the climbers to help children overcome sensory- processing disorders. To create an undulating climbing space that meanders through the trees, Annabau designers erected two green steel pipes with a net strung between. In some sections, traversing the structure can involve swinging from ropes with rotating plates. 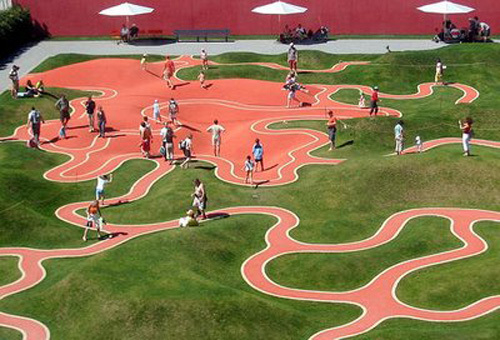 What happens to a jungle gym when it’s compressed? It turns into a maze, a fortress, a rock-climbing wall or a soccer goal. 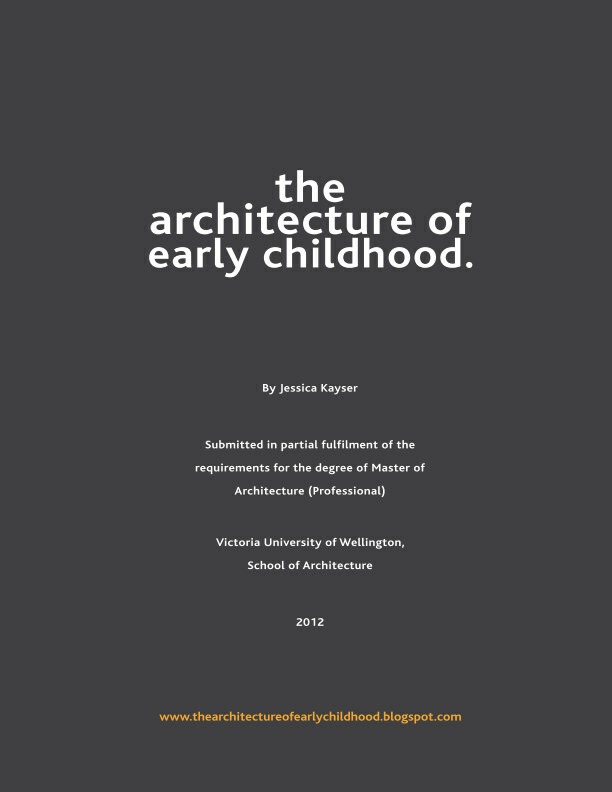 Sixty children can comfortably fit in and on Wall-holla, a structure 16 feet tall and 52 feet long. 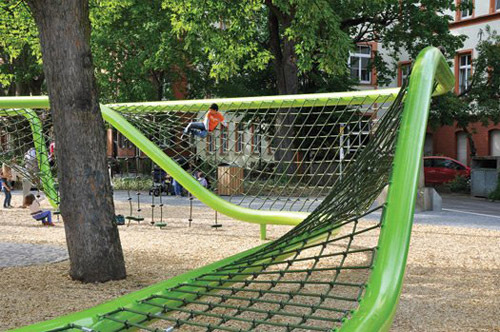 Schmidt forwent traditional park fixtures like slides and jungle gyms in favor of a soft, rolling terrain of colorful Tartan turf and grassy hills laced with meandering pathways. These are just a few recent examples of some inspiring playscapes that are popping up today - capturing the imaginations of children, whilst also adding vibrancy to public spaces. For many more inspiring examples, visit playscapes. Via Popular Science and Dwell.